From a comic entitled 江湖 (temporary translation: “Sword Society”). 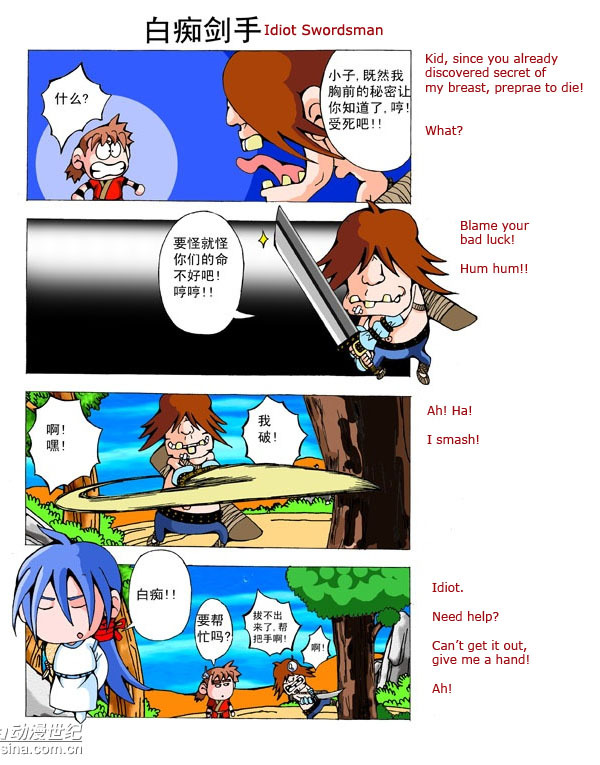 Link to original strip on Sina. lyn: really? i was thinking 江湖 here was more like a medieval version of the triads, but in the sense that you can refer to both as a ‘society’ like 江湖之中… that make sense?